With the new program librarians can get certified and obtain a Premium Upgrade for 500 users at their institution for free. Mendeley is a free reference manager and academic social network that can help researchers organize their papers, collaborate with others online, and discover the latest news on their field. On the Mendeley platform, researchers can also create an academic profile and upload papers to publicize their research. Librarians can also benefit from Mendeley. The new Certification Program for librarians is a self-study program that takes 15 – 20 hours to complete with rewards offered at each level. Each year, upon successful completion of the upgrading requirements, librarians get to continue with premium Mendeley access at no additional costs. I you would like to know more about the benefits of the Mendeley Certification Program for Librarians click here. 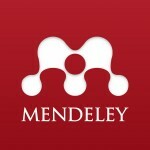 To learn more about Mendeley check our training material or join the Research4Life/Mendeley group.